I assume he’s out of our range? Can't we dream? At least we were among the first to offer . . . He got an offer from Kansas over the weekend. Edit:His twitter is back up and running. Last edited by Source on Wed Aug 23, 2017 7:05 am, edited 1 time in total. We will have another first as well...his first declination. If they had any chance at okoro he would already be offered. He's a in town kid. Crazy to think a top 25-35 player (depending on website) is coming out of normal. Although he is down trending a bit. He was ranked higher last season. He did move from Mississippi in the last few years though.
. He's a in town kid. Crazy to think a top 25-35 player (depending on website) is coming out of normal. His ranking isn't much different than what Bates-Diop's (U-High) was. He does mention it would be nice to stay close. It's an ounce of hope. That's outstanding. Nice work HCDM. Francis came to Hoopsfest and he definitely knows a lot about the program. Dan clearly hasn't given up. Love how he's now focusing on great local talent as well as elsewhere. Normal West plays Bloomington tomorrow (Friday) night at the Shirk Center at 7:30 - and then plays Normal East on Saturday at 6:00. I do not know how much of a supporting cast Okoro has at West - three players from last year's West Varsity left - Yaklich moved, one went to U-High, and another went to Central Catholic - all of those kids were on the Parkside Jr High team that won the state tournament as 8th graders. I was just about to post about the game tonight! Bloomington vs West. Chris Payton vs Okoro. Last year when the two met, I give the advantage to Chris. I'm sure both players would love to see a bunch of Redbird fans in the stands cheering them on! Who knows, maybe Okoro will see that this community can rally around its players and teams and decide to stay. You'd have to think that kind of thing would put more butts in our beautiful arena? 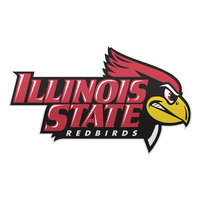 2 local kids putting Illinois State in the Sweet Sixteen. If anyone is attending tonight's game please post your thoughts. I would imagine Dan will be there again tonight. I didn't get a chance to go to the game but I was in the car at halftime and heard on the radio that Payton had some foul trouble and 10 points while Okoro had 18 at the half.